OMAHA, Neb. 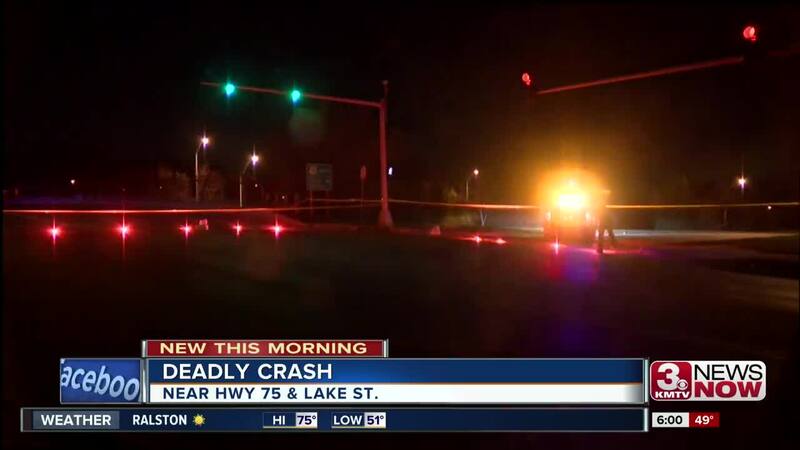 (KMTV) — Omaha Police are investigating the cause of a deadly early morning crash. Authorities were called to the north freeway near Lake Street, just after 1 a.m. Officers confirmed one person died at the scene. Parts of Highway 75 were closed while police worked the scene, and the highway has since reopened. The cars involved were a Chevy Tahoe and a Nissan Altima. The Altima hit the Chevy, causing it to slide off the roadway and roll after the SUV hit a light pole. The driver of the Tahoe, Jerome Payton Jr, was pronounced dead at the scene. The driver of the Nissan was Meghan Kinsey. Alcohol is a suspecting cause of the crash. Kinsey was booked for DUI - Serious bodily injry, reckless driving, and not wearing a seat belt.